Nothing in their history will perhaps ever equal their humbling of holders France on the first day of the 2002 World Cup, but 16 years on and Senegal have been quick to make their mark in Russia. This was a turn up in Moscow, that’s for sure. Poland – led by their record-breaking striker Robert Lewandowski – began this tournament as the eighth ranked team in the world. To see them humbled like this was strange indeed. 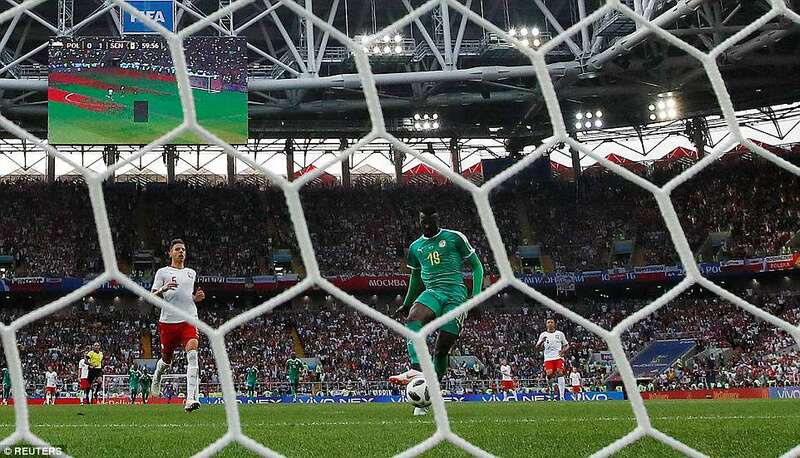 The bare bones are that both teams were dreadful in the first half only for Senegal to lead thanks to a shot from Everton’s Idrissa Gana Gueye that was going wide until it struck Poland’s Thiago Cionek and ricocheted in to the goal. 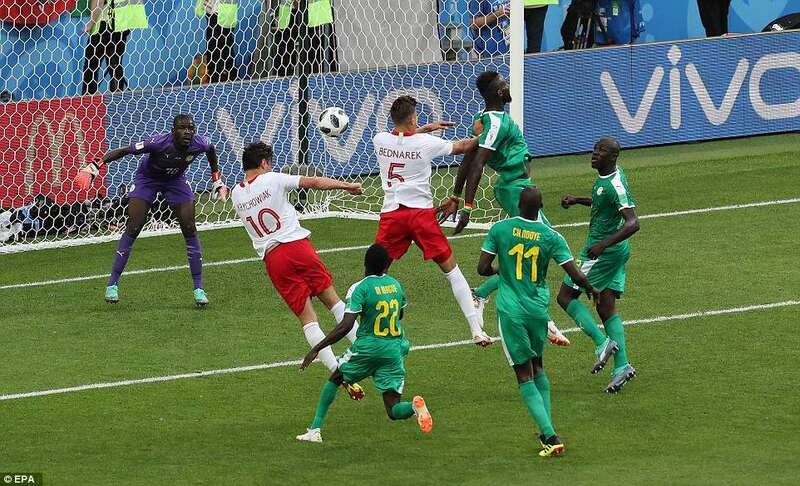 That was a poor goal to concede by the Poles but the one they gave Senegal on the hour was even worse. 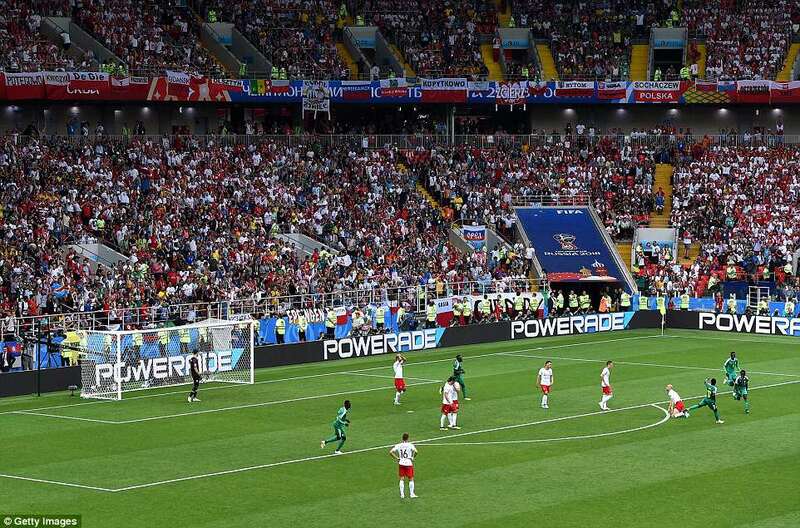 As the game began to benefit from a little more cohesion, Poland were pressing for parity. But a wild pass back in to his own half by West Brom’s Grzegorz Krychowiak was intercepted by Mbaye Niang as he was waved back on to the field after an injury. 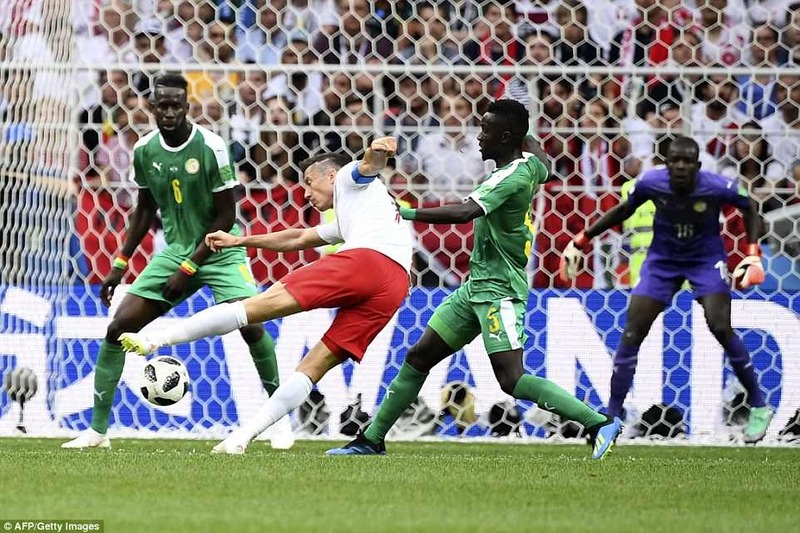 Poland defender Jan Bednarek clearly didn’t see his opponent arriving on the blindside and for him we can feel a little sympathy. But what former Arsenal goalkeeper Wojciech Szczesny was doing dashing thirty yards from goal to try and intercept was anybody’s guess. It was a decision that effectively ended the game as Niang nudged the ball past the goalkeeper and scored in to an empty net. Szczesny – No 2 at Juventus these days – has never seemed quite good enough for international football and here was the evidence. Poland, facing disaster, pressed hard but could only score once, Krychowiak heading in from a free-kick with five minutes left. 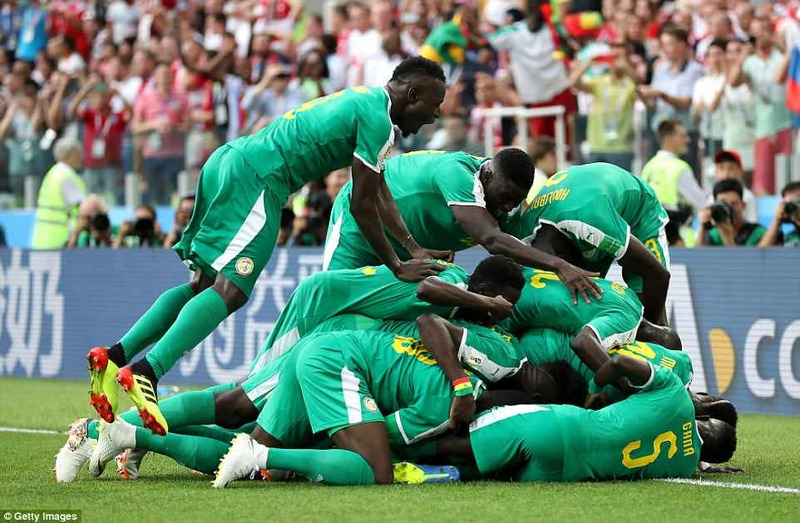 Senegal hung on in a game that had improved markedly and would now appear to be set for an adventure through this World Cup to rival that which enthralled us in Japan and Korea. At least we had a story. 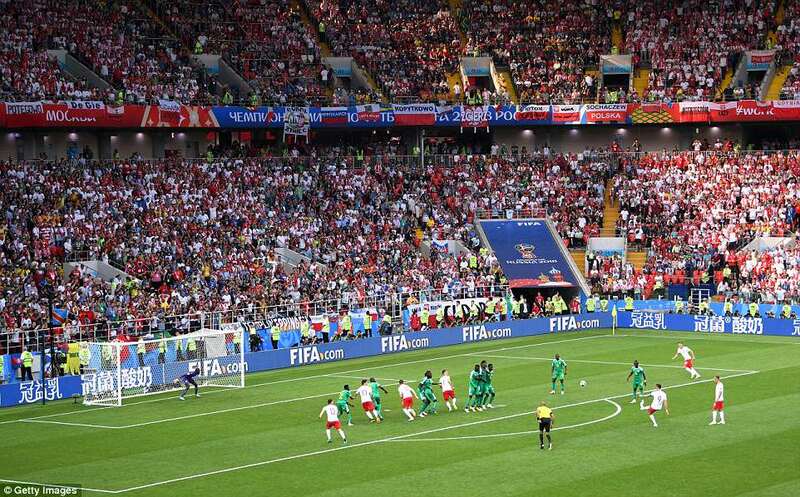 The first half had actually ended with neither team having registered a shot on target but with Senegal in the lead. To a great extent, that summed things up. After five days of engaging and watchable football, this was the game that threatened to finally buck the trend. Probably the best thing about it early on was the atmosphere and that was largely because most of Poland seemed to be here. This would have been a good day to be a burglar in Warsaw, but the massed ranks of red and white stationed all round this great modern stadium could not do anything to spur their team on during a first half that was high on effort and low on quality. Certainly the goal that separated the teams at the break summed everything up. 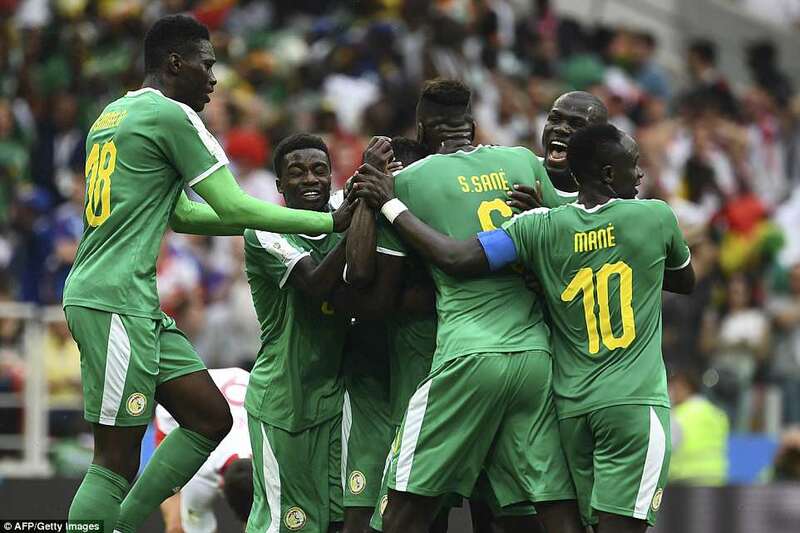 Senegal are a physically powerful team that sometimes lack subtlety. The way that Niang beat Lukasz Piszczek to the ball down the left side in the 38th minute was impressive. He was second favourite when the ball dropped. Niang then fed the ball infield to Sadio Mane and when the Liverpool forward eased it onwards to Gueye, space opened up ahead of him. Just 20 yards out, Gueye had the whole goal to aim at but pulled his shot badly to the left. The ball almost certainly would have gone wide of the goal but when Cionek waved a foot at it, the Polish defender deflected it horrifically past goalkeeper Szczesny and in to the centre of the net. 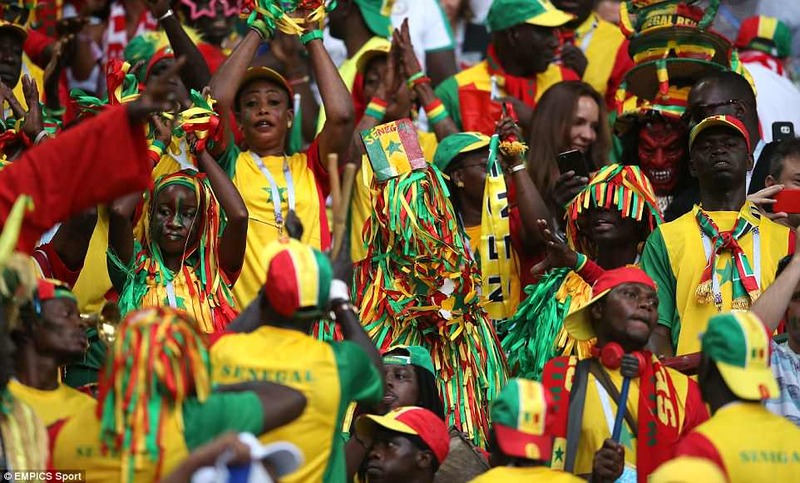 Senegal enjoyed some good fortune when scoring their second goal as the match officials allowed Niang onto the field of play at a key point after he had been off for treatment. However, it was only seen as giving them an advantage as the defending by Poland was so poor. First Krychowiak played a sloppy pass back towards goal and then Bednarek allowed the ball to run which Niang ran onto and beat Wojciech Szczesny who was well out if his penalty area. Referee Nawaf Shukralla could have been seen as unwise to wave Niang on but I really felt it was down to poor defending rather than a refereeing error. So the game that didn’t deserve a goal suddenly had a goal and we wondered whether that would improve things. Prior to that moment, there had been precious little to impress or excite a big crowd. There were Senegal supporters here, most clad in bright green, red and yellow, and their drums and horns ensured that we could hear them too. It was Poland who had traveled in hope. though, and that was just one of the things that made their display so disappointing. 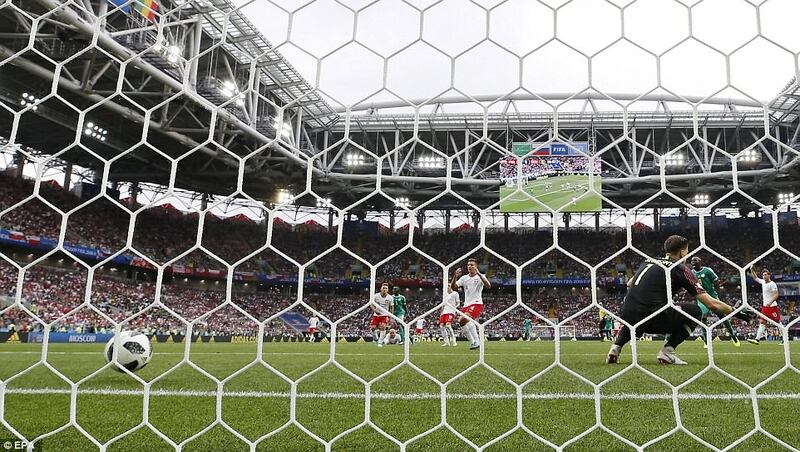 There were some sporadic moments of progress, most notably down the left side where Hull City’s Kamil Grosicki was often the willing outlet, but service to centre forward and captain Lewandowski was almost non existent and that was hurting Poland enormously. 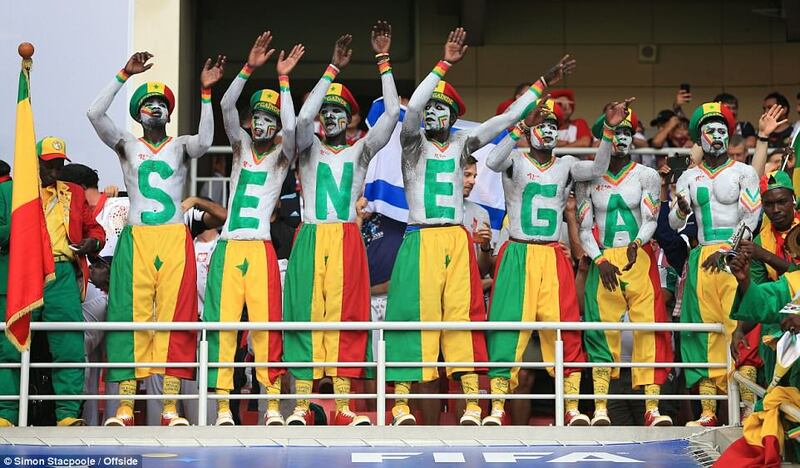 For their part, Senegal were keen and at times progressive. Mane struggle to make a direct impact but was an outlet who often drew men towards him in order to leave space for others. With a little more composure on occasion, Senegal could have benefited from that. Niang – who plays for Torino – was a threat when he ran directly and he could have done better than play the ball against a defender when trying to square it for Stoke’s Mame Biram Diouf early in the game. Poland enjoyed more possession but Senegal at times looked the more dangerous side. 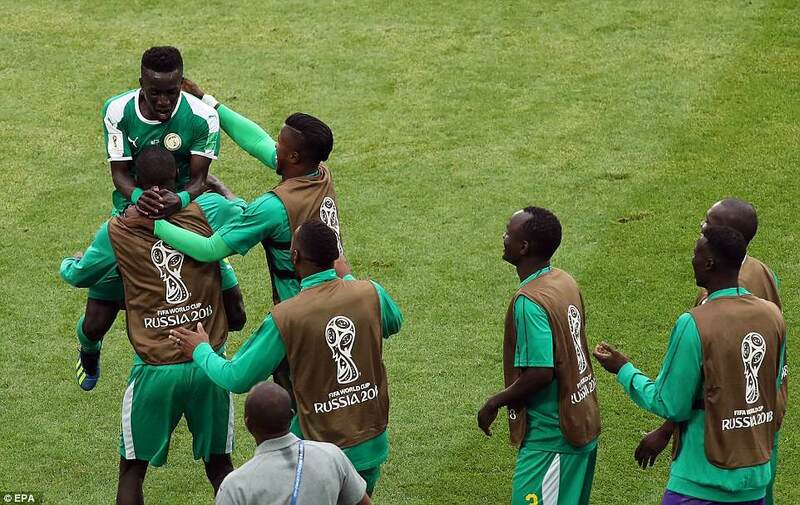 With all African teams beaten so far in this World Cup, it became clear here that this was Senegal’s chance to leave their mark. Inevitably, Poland did improve. They had to. Above all they had to get Lewandowski in to the game. Scorer of a record 16 goals in qualifying, only one team mate had fewer touches than him in the first half. He won a free-kick with a darting run early in the second half and took it himself, bringing a rather flashy save from Khadim Ndiaye with a strike towards the top corner. 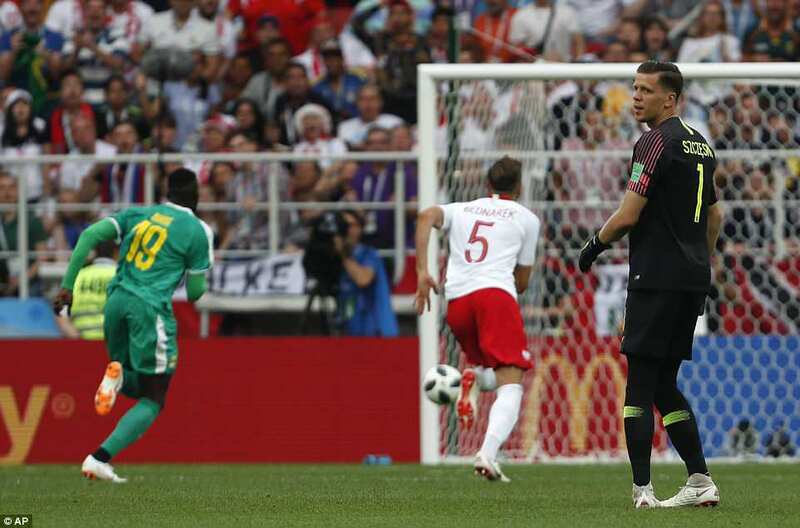 At last, Poland had made the Senegal goalkeeper work. For the first 15 minutes of the second half the Poles were improved. When Maciej Rybus crossed from the left in the 56th minute, Piszczek may have done better than volley tamely wide at the far post. A goal then and you would have fancied the Poles to complete the job. Instead they self-combusted on the hour. With Niang beckoned back on by the referee at the halfway line, he clearly was not seen by substitute defender Bednarek. By the time Niang had appeared on the Southampton player’s blind side it was too late and as Szczesny dashed stupidly from goal the Senegal player was able to nudge it beyond him and side foot it in to an empty goal. 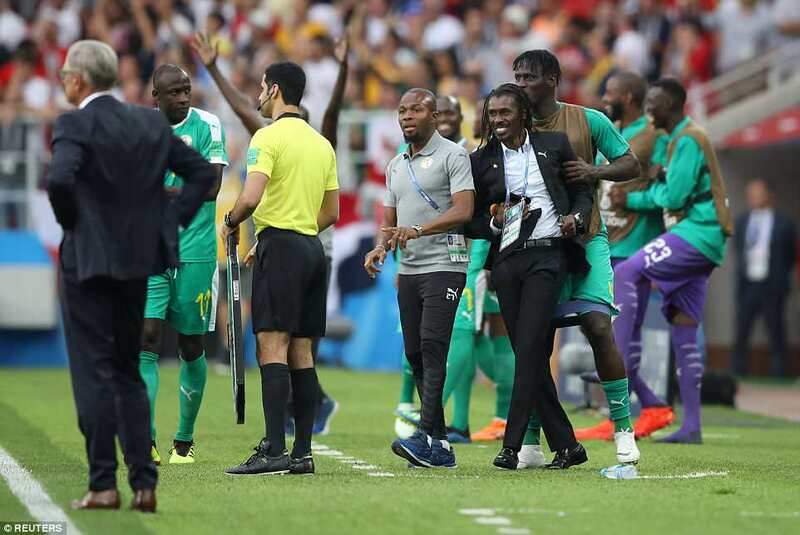 On the touchline Senegal coach Aliou Cisse – once of Birmingham City and Portsmouth – danced for joy. With half an hour left to go, his team were in touching distance of a real turn up. 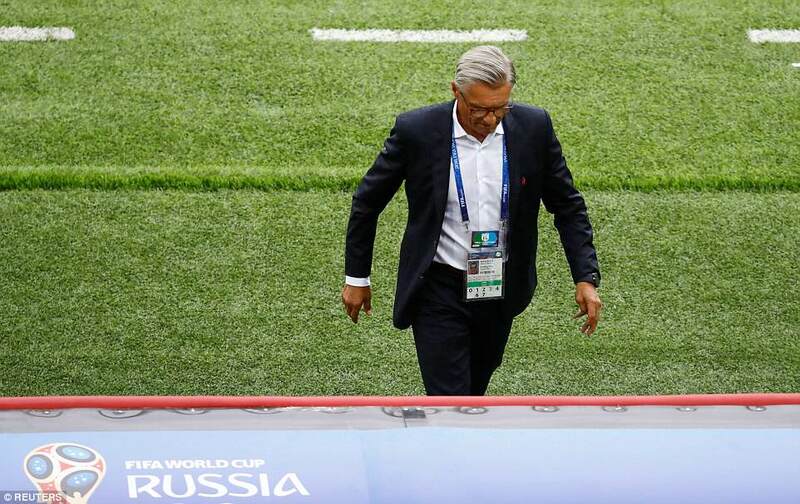 For Poland disaster beckoned but it was only what they deserved. There will be little sympathy for Szczesny, either. He gloated on social media after Juventus knocked Tottenham out of last season’s Champions League, even though he didn’t actually play. It was a classless act that now seems even more ill-advised following his efforts here. Adam Nawalka’s team were impressive qualifiers but were poor here. Arkadiusz Milik steered a low cross from Piszczek wide of the near post with twenty minutes left before Lewandowski came close with a header from eight yards. 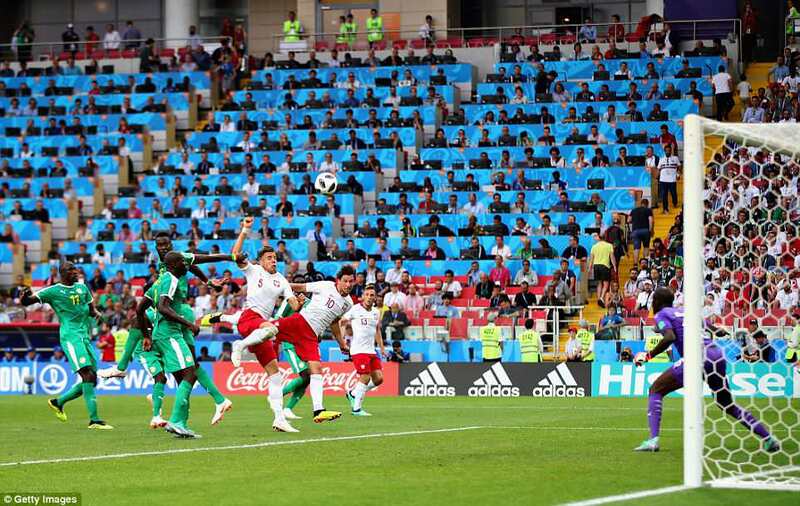 Then, with just five minutes left, West Brom’s Grzegorz Krychowiak reached a deep free kick at the far post to head back across Ndiaye and in to the far corner to give Poland some late hope. In the end, that hope came to nothing.